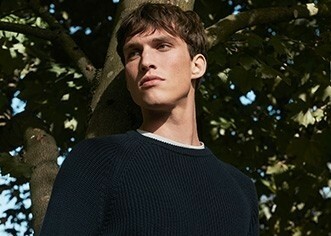 This melange crew neck jumper has been crafted using a blend of premium Merino and Cashmere wool yarns. An understated and luxurious wardrobe classic, the medium weight rib offers excellent thermal properties and durability. Cut true to size, it offers extreme comfort and softness, designed to work well when worn with one of our cotton a href="https://www.sunspel.com/us/mens/shirts.html" title="shirts">shirts for a smarter silhouette – or as a stand-alone piece.